"To me, jewelry making is drawing, design, sculpture, and craft. 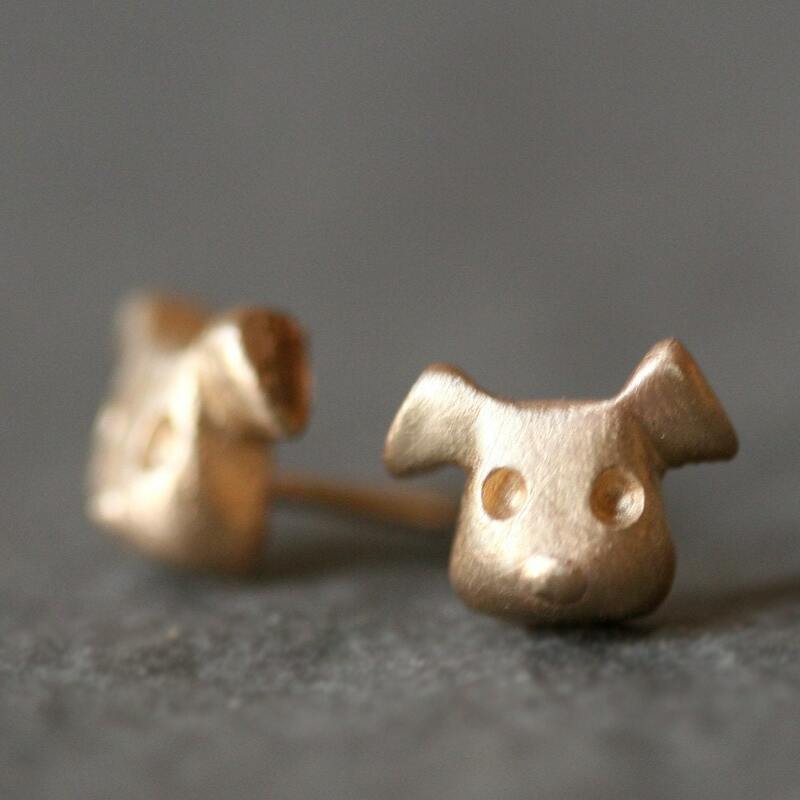 It's art embodied in a tiny object, one that can be worn to become a part of the person wearing it." 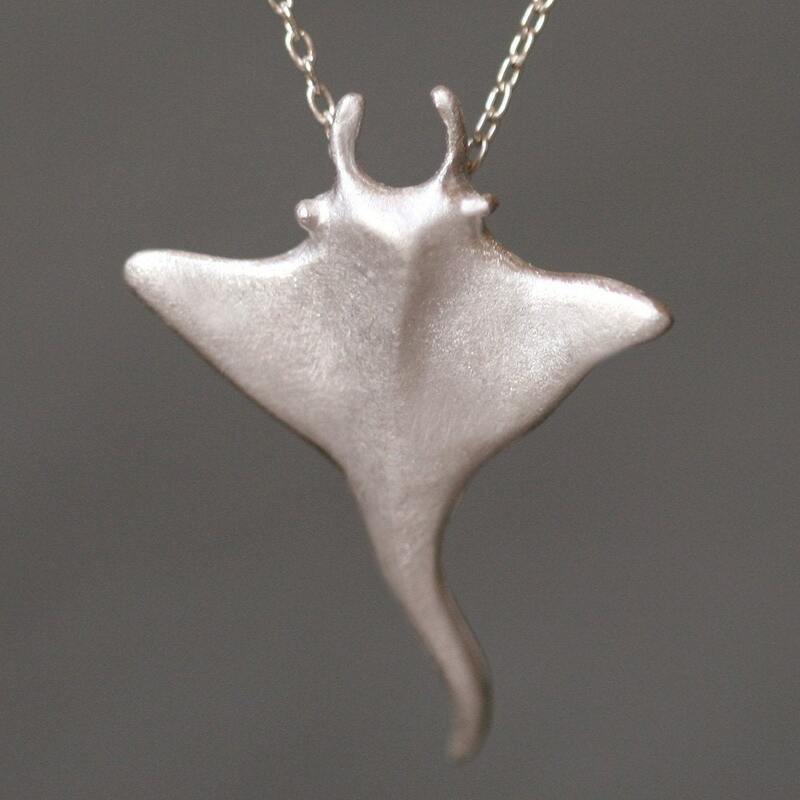 Michelle is an incredibly talented jewelry designer and creator based in New York City. I came across her shop and was instantly in love. I'm sure you will be, too. Read on for an interview and a generous giveaway! I use sterling silver and gold, as well as semi-precious stones and diamonds. I want to use real precious metals and stones of value as I want my jewelry to be kept and worn for many years. It seemed like the perfect platform to test my designs and the ease of setting up my shop was of great appeal. I find inspiration in many things small and large, natural and man-made, living and inert. Every piece of jewelry is made by hand and is therefore unique. I listen to independent music or classical. Often i listen to NPR to take a break from music. When I'm hungry...I think about my mom's cooking. When I need a boost...I drink earl grey tea with cream. I wish I was/were... scuba diving in the tropics. 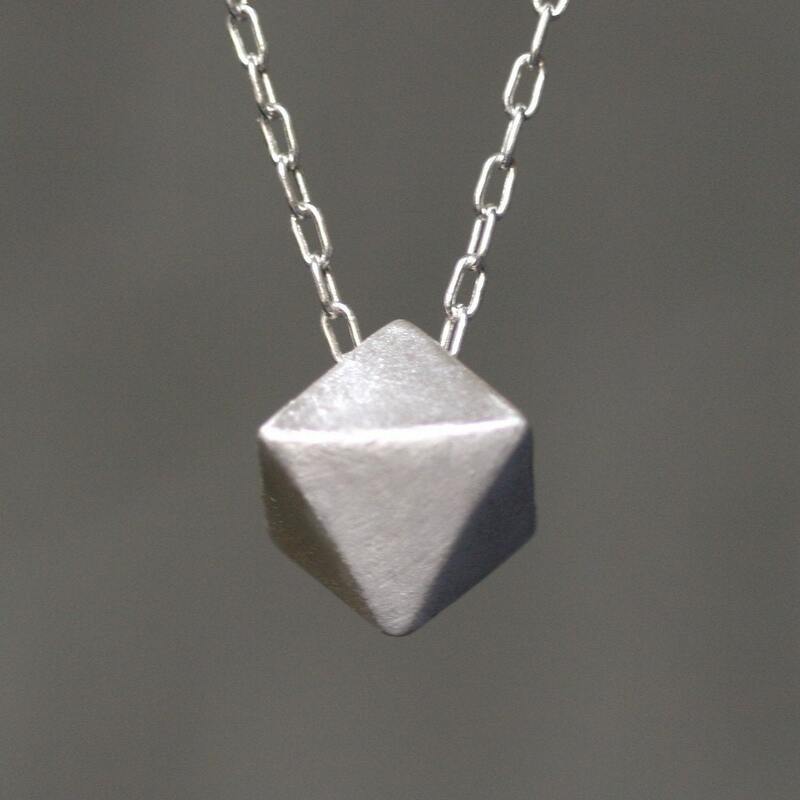 Michelle has so graciously offered to give away one 8 sided triangle necklace (a $60 value!) to a lucky winner! Head over to Michelle Chang Jewelry and tell me your favorite item! - Heart Michelle Chang Jewelry on etsy. Fine print: Giveaway begins when it is posted and ends at 11:59pm pacific standard time October 4, 2010. A winner will be selected by a random number generator on October 5, 2010 and will be emailed promptly. Michelle will ship anywhere in the world! 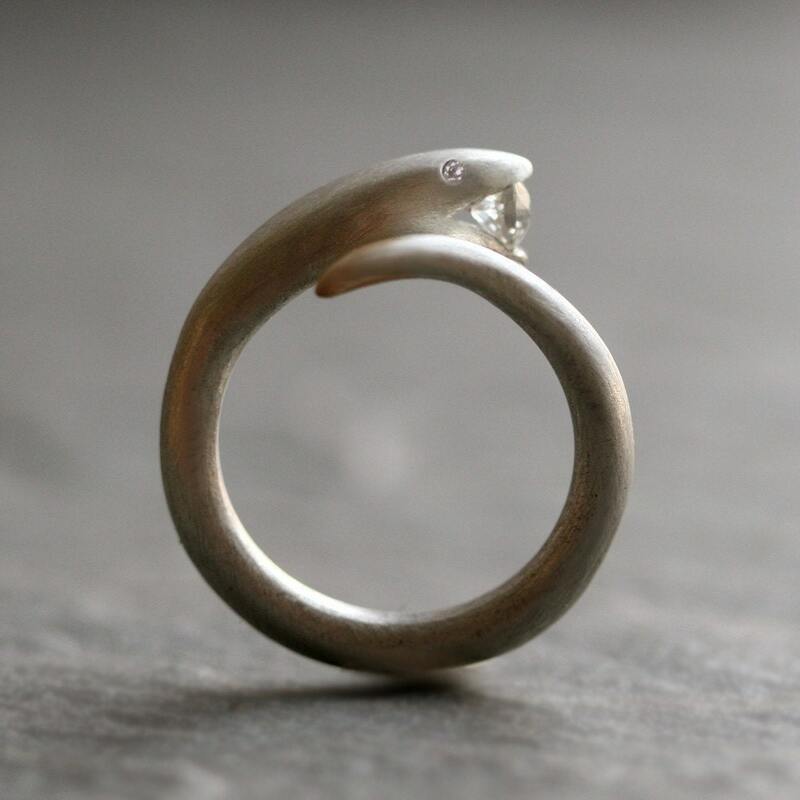 I love the open mouth snake ring...fab! hearted Michelle Chang jewelry on etsy! I love the Horseshoe and diamond necklace! So many beautiful things in her shop! 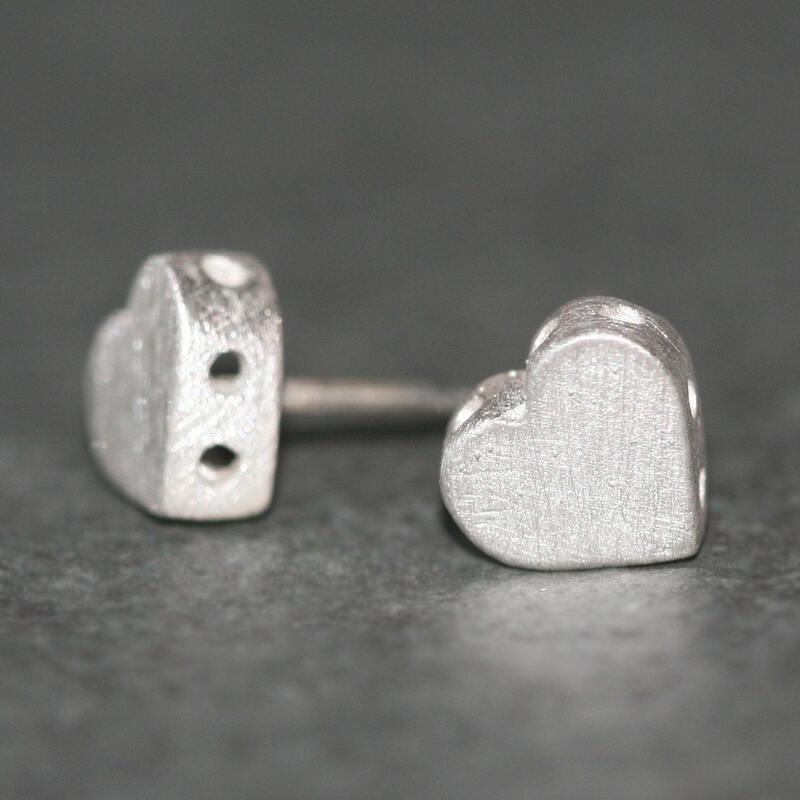 I hearted Michelle Chang Jewelry on Etsy! I think Baby Skull Band Ring in Sterling Silver with Diamonds UNISEX is fantastic!!!! I adore her jewelry creations! One of my favorites pieces is her "Tiny Triple Branch"
I also am a Facebook fan of Kate and Oli! My favorite item in the shop is the Tiny Sideways Heart Necklace - you can't have to many heart necklaces! I follow on gfc as jhb. My fave item is the mini Mismatched Snake earrings. Lots of cool cute items. I get kate and oli emails. 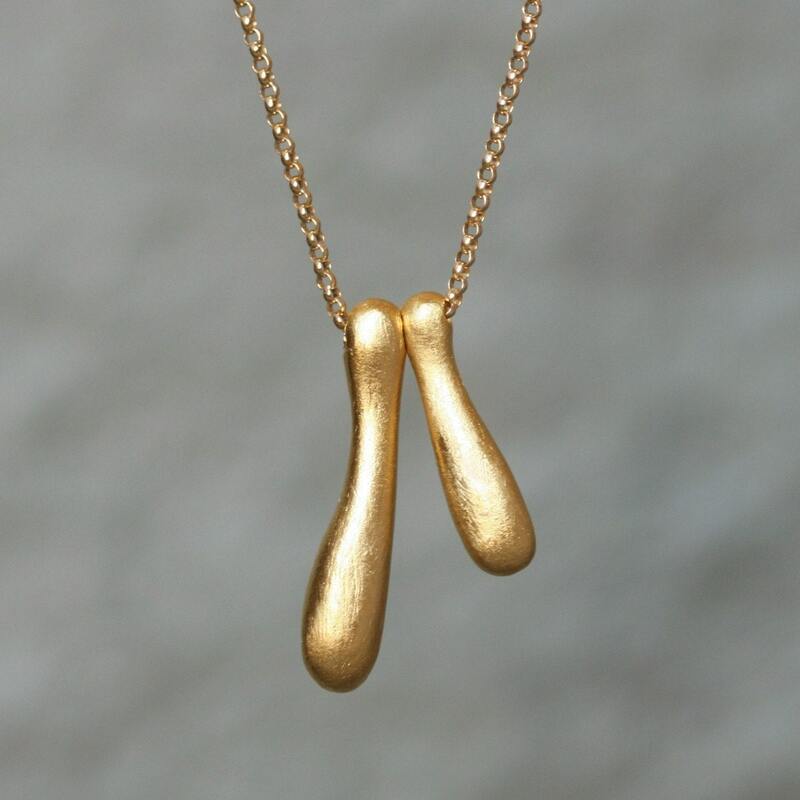 I loved the Crescent Moon Necklace in 14K Gold with 5 Diamonds. I heart Michelle Chang Jewelry on etsy. A subscriber to the Kate and Oli mailing list. 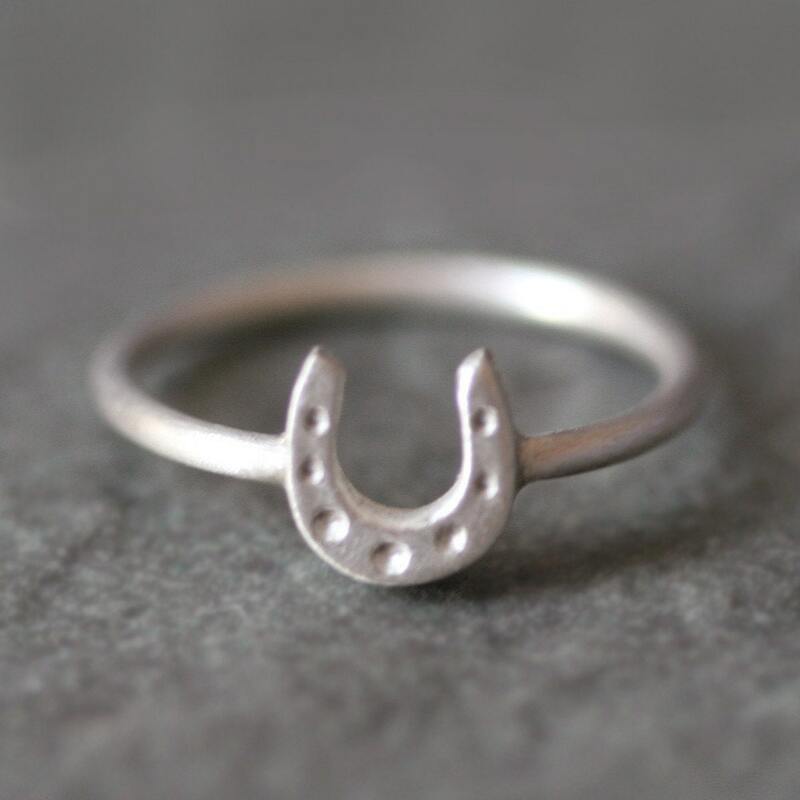 I added Michelle Chang Jewelry to my list of favourite shops on Etsy. I subscribed to the Kate and Oli mailing list. 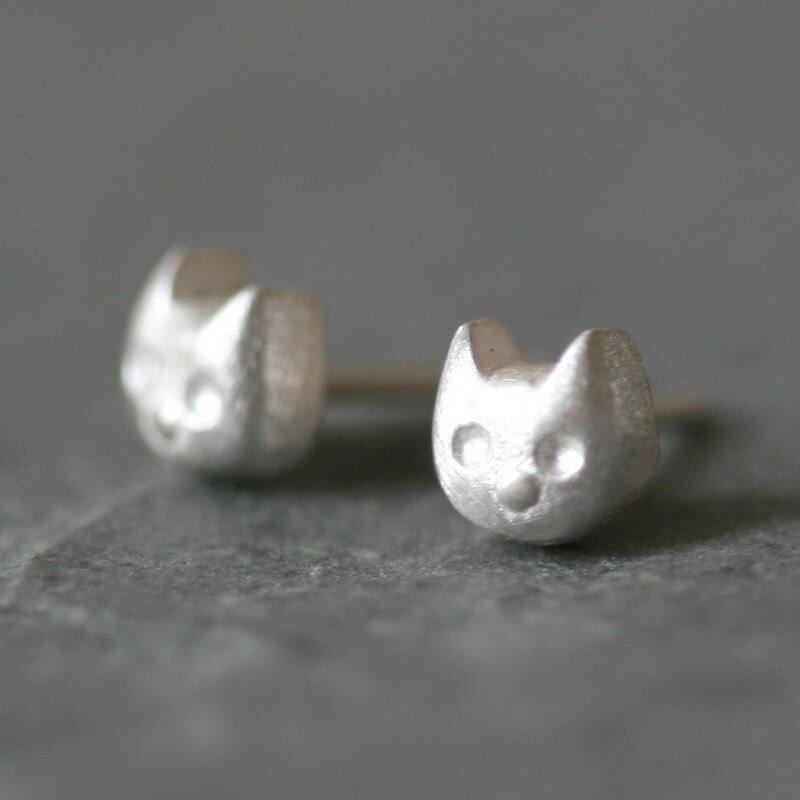 My favorite items is the Baby Kitten Ring in Sterling Silver. I am a GFC follower and I love the Tiny Victorian Key Pendant in 14K Rose Gold with Diamonds. Beautiful! I love the Small Four Leaf Clover Ring in 14K Gold and the Star Necklace in 14K Gold! Already on the Kate and Oli mailing list. I like the sterling silver puppy necklace. I follow (follower name is Damla). I like the Crescent Moon Necklace in Sterling Silver with Gold Filled Chain. Beautiful shop, Michelle seems like a lovely person. My favourite item is the baby snake necklace no. 2 in sterling silver with diamonds. I signed up for your mailing list. Thank you so much for offering such a generous giveaway! My favorite item is the "Bunny Pendant Necklace in Sterling Silver with Diamond"
I hearted Michelle Chang Jewelry on Etsy. My shop name Hellcat Vintage. I'm a follower! I love the Diamond Shaped Dangle Earrings in 14k Gold with 4 Diamonds. 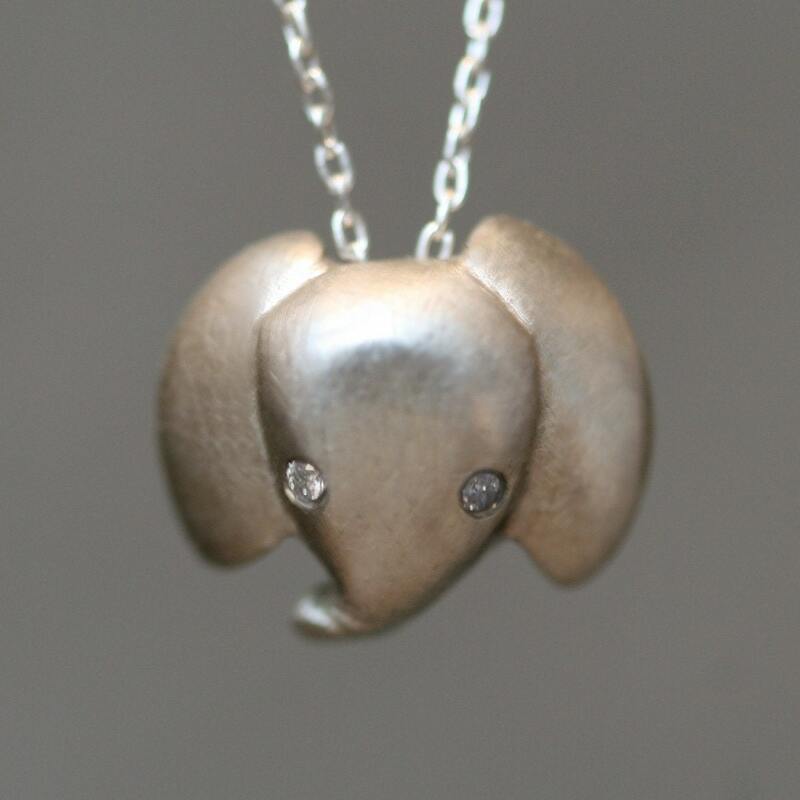 I love the Baby Elephant Necklace in Sterling Silver with Diamonds! i'm a Facebook fan of Kate and Oli. I love the pyramid ring as it's very similar to my own engagement ring! followed on twitter and tweeted. i posted the link for the giveaway on my left sidebar. this is where i out the giveaways. i love the Snake Bracelet with Diamonds in Sterling Silver. So Hot! wow- all so lovely. i especially like the double branch necklace. My fav is Open Heart Necklace with Holes in Gold Vermeil. My favorite is the Starburst Necklace in Sterling Silver and Diamond! Also, I liked your Facebook page. My favorite item is deff the Baby Skull Bangle with Diamonds in Sterling Silver.Amazing!!! I Sign up for the Kate and Oli mailing list. 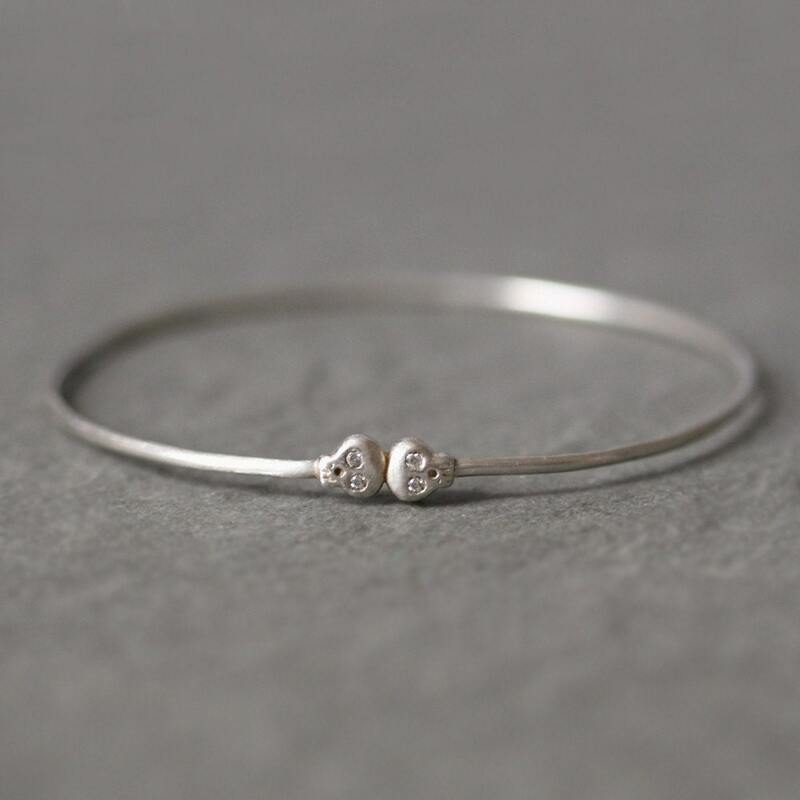 I follow your blog through Google Friend Connect (Altrotiroaltroregalo); my fav item is Stack Bangle in Sterling Silver. i am a follower through g friend connect . I already have michelle's shop hearted under squirrel33 . I am already signed up for the mailing list . I am already an fb fan under ana amanti . http://www.etsy.com/listing/39270616/small-hoop-earrings-in-sterling-silver I love the earrings! I'm a follower and I love everything Baby Skull, especially the sterling silver ring and studs. I heart Michelle Chang's Etsy shop (kiddo47). I follow you on Twitter (kiddo47). I posted your button on my blog. I like you on FB (Suzanne Gregg). 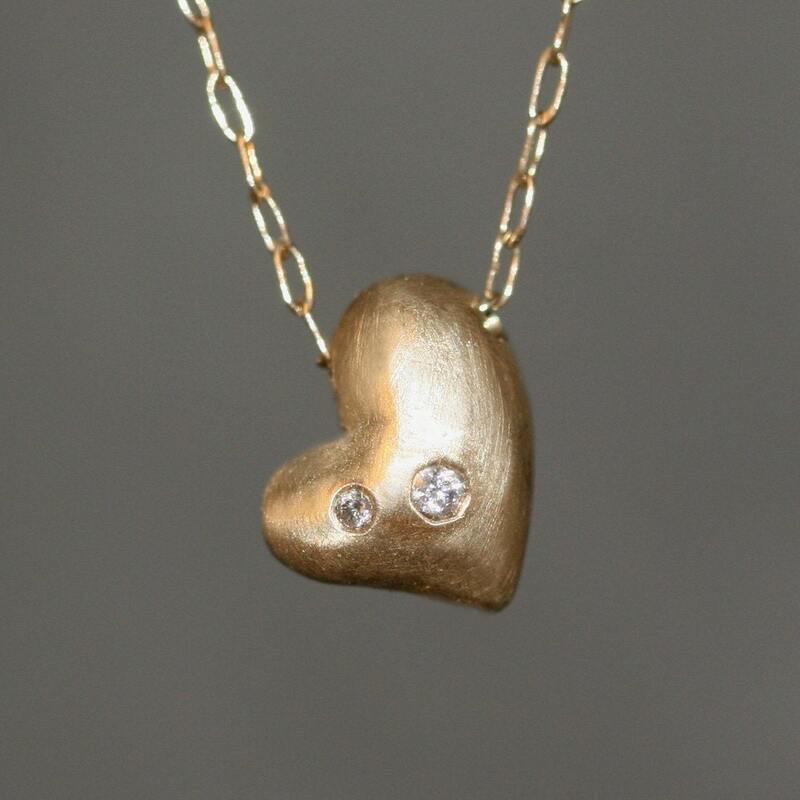 I love the Puffy Heart Necklace in Gold Vermeil and Sterling Silver! It looks so simple yet sophisticated. I added your blog button on my sidebar. I had liked Kate and Oli on facebook too! My facebook email address is also snow0016@yahoo.com. I'm not much of a skull person but I love all the pieces with the baby skulls. And the baby snake wrapped around the necklace. oh i love her Baby Snake Necklace No 1. So cute along with all her stuff! I have favorited her Etsy Shop. I love the Leaf Ring in Sterling Silver and White Topaz! All of the things in this shop are gorgeous! My favorite item is the baby skull ring in sterling silver. The open heart stud earrings are awesome! My favorite item in the shop is the Double Heart Initial Necklace in Sterling Silver. I hearted Michelle Chang Jewelry on etsy. My username is magnolica. I've signed up for the Kate and Oli mailing list. I'm a FB fan! My username is wunderfraulein. Wow, what a great shop!!! Love all the rings, especially the Fox Ring in Sterling Silver with Diamonds. Hearted Michelle Chang Jewelry on etsy. I signed up for the Kate and Oli mailing list. Facebook fan of Kate and Oli too. 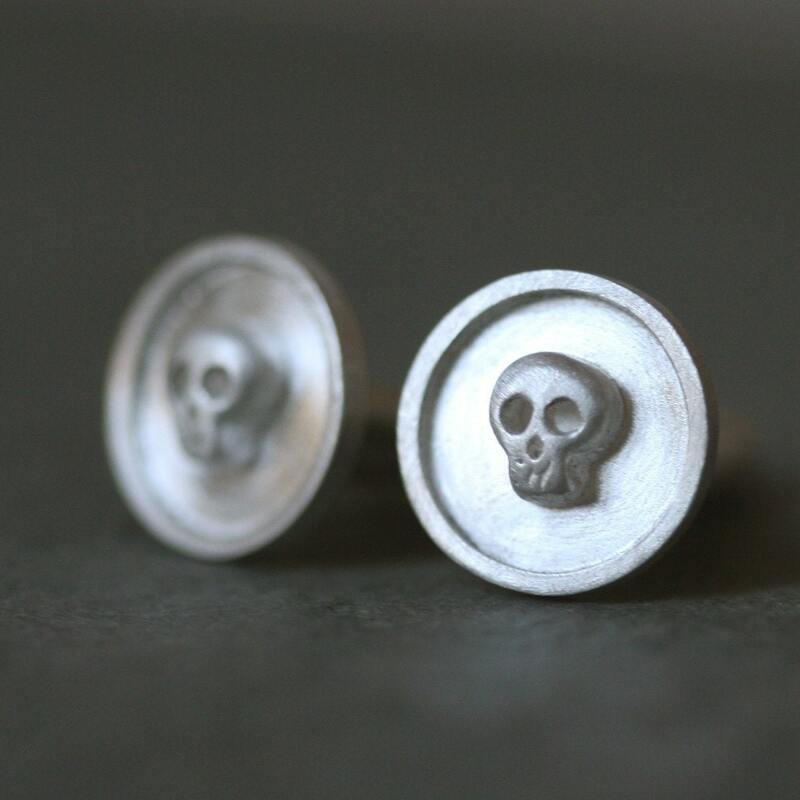 My favorite is the baby skull band ring - so ferocious but cute at the same time! My favorite item is the Leaf Ring in Sterling Silver and London Blue Topaz. I signed up for the Kate and Oli mailing list! 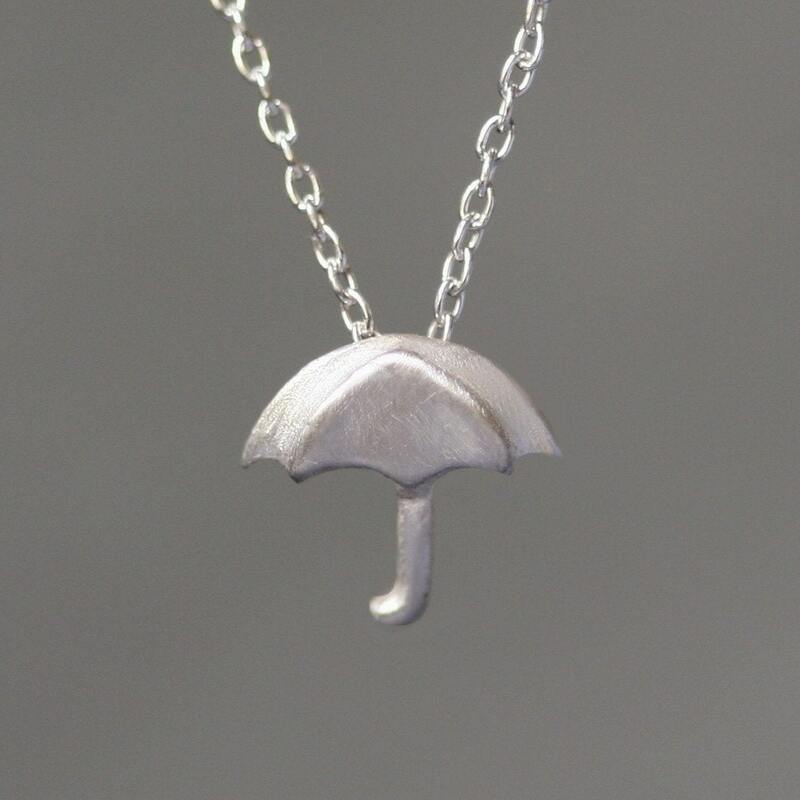 Living in Seattle, I LOVE the Umbrella necklace. 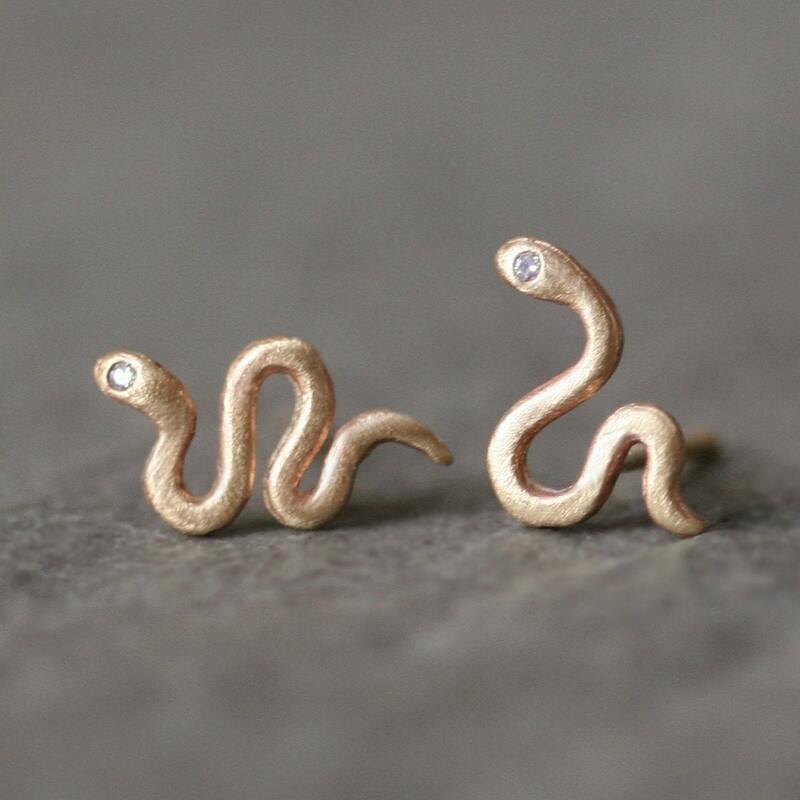 I love the mini mismatched snake stud earrings. I like the baby band skull ring. I love the Diamond Drop Hoop Earrings in 14K Gold and I follow your blog. Cart-Worthy + Heart-Worthy: Unicorn Edition! Kris Nations Jewelry at Ideeli! Advertise On Kate and Oli! More Fabulous Finds From One Kings Lane! Groupon Online Deals for 9/22! Focus On... Shaloms Cottage Home! I Invite You... To HauteLook! I Invite You... To One Kings Lane! I Invite You... To Ideeli! The Problem...Is In Your Mind.